The roots of the Department of Ophthalmology date back to 1922 when professor Petras Avižonis founded in the newly established Vytautas Magnus University. Since then, the Department of Ophthalmology has come a long way and become a modern hospital of ophthalmology. Professor Avižonis was the Head of the Department until 1939. After the professor's death, his son V. Avižonis took over the management of the Department (untill 1944), later the Department of Ophthalmology was headed by J. Nemeikša until 1958. Professor Emilija Daktaravičiene performed a special role in the development of the Department of Ophthalmology. She chaired the department from 1958 to 1989 and established excellent clinical foundation and trained a whole generation of ophthalmologists. In 1976, prof. E. Daktaravičienė, assoc. prof. A. Valentinienė and doctor L. Matukonienė established a new Department of Ophthalmology.. The most famous ophthalmologists, such as rof. A. Blužienė, assoc. prof. M. Tornau, assoc. prof. I. Vaškelienė, assoc. Prof. V. Barzdžiukas, prof. A. Paunksnis worked in the department. In 2002, the first Donor Fund for Eyes in the Baltic States was established in the department. From 1989 to 2017, the Department of Ophthalmology was headed by prof. Vytautas Jašinskas. 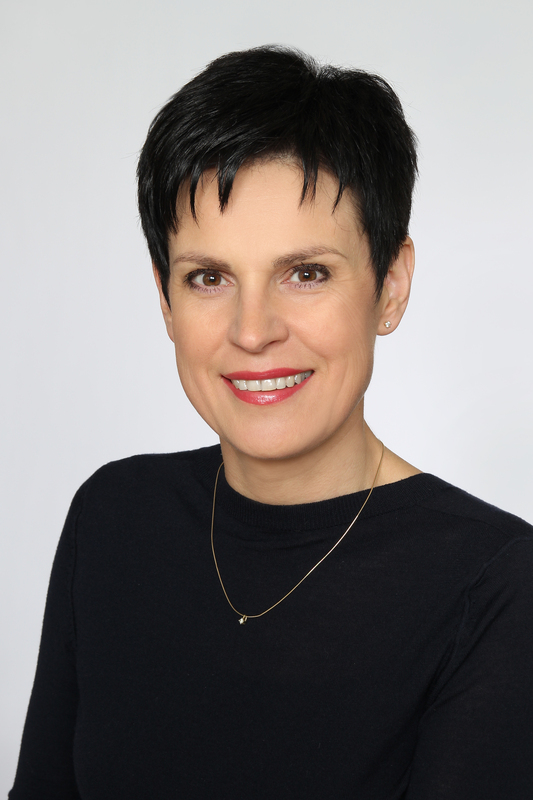 Since 2017, the Department has been headed by prof. R. Žemaitienė. Since 2009, eleven scientific theses have been defended in LSMU Department of Ophthalmology. At present, twelve doctoral students are in training. During the period of 2013-2017, the staff of the Department of Ophthalmology published 543 articles in medical journals, 56 of which in the Clarivate Analytics Journal Citation Reports database, and referred to in international medical databases. In 2013-2017, 7 monographs and professional books in ophthalmology were published. The main directions of scientific activity: investigation of imunogenetic and metabolic markers in the patients with age-related macular degeneration, diabetic retinopathy and corneal deseases, phenotype of the inflammatory disease of the optic nerve and its relation to molecular markers; relation of visual function and imunogenetic markers with the morphology of pituitary adenoma; relation of pseudoexfoliation syndrome with ischemic heart disease and oxidative stress; assesment of efficacy of new different cataract surgery methods; identification and adjustment of new innovative diagnostic and treatment methods in glaucoma, as well as assessment of the association between glaucoma and other neurodegenerative diseases. Students have the possibility of extending their knowledge in Ophthalmology by choosing a 3-week elective course in the 6th academic year (4 credits, 107 hours) (in Lithuanian and English languages MF/AK/M-V28 Modulus and MF/AK/M-U11 Modulus). Students also obtain experience in research work by Master thesis Preparation and presentation of elective scientific work (3 credits in Lithuanian and English languages, modulus MF/AK/M-V26 and MF/AK/M-U14) and/or by participating in the activities of the Section of Ophthalmology in the Student Scientific Association. At present, there are 23 residents in the the Department of Ophthalmolgy. The duration of residency in ophthalmology is 3 years (198 ECTS credits). The program is prepared taking into account LR legal acts, European Parliament and Council Directive 2005/36/EB, European Ophthalmologist Council, EBO (European Board of Ophthalmology) recommendations for Ophthalmologist preparation (Principles and Guidelines of a curriculum for Education of the Ophthalmic Specialist. Presented by International Task Force on Resident and Specialist Education in Ophthalmology. (Nov.2006, Page S1-S48, Vol. 223)) and requirements for preparations of Ophthalmologist by European union of Medicine Specialists. (European Union of Medical Specialists. Charter on Training of Medical Specialists in the EU. Section of Ophthalmology. UEMS 2009. Website access: http://www.uems-ofthalmology.org/. rtment is the largest eye disease diagnostic and treatment centre in Lithuania. The department consists of the Eye Consultative-Diagnostic Unit (outpatient department) (headed by prof. I. Janulevičienė MD, PhD), Department of Children's Eye Diseases (headed by. A. Gelžinis MD, PhD), One-day Surgical Division (prof. D. Žaliūnienė MD, PhD) and Inpatient Department of Adult Eye Diseases (headed by D. Stanislovaitienė MD, PhD). There are several specified sections established in order to improve the quality and provide better care in different fields of ophthalmology: Cataract, Glaucoma and Laser Surgery Sector (headed by prof. D. Žaliūnienė MD, PhD); Vitreoretinal Surgery Sector (headed by A. Miliauskas MD), Cornea and Uveitis Sector (headed by prof. R. Žemaitienė MD, PhD), Ocular Oncology, Reconstructive and Plastic Surgery Sector (headed by G. Miniauskienė MD, PhD), Retina Diseases Sector (headed by assoc. prof. J. V. Balčiūnienė MD, PhD); Strabismus and Neuroophthalmology Sector (headed by A. Gelžinis MD, PhD). The Department of Ophthalmology provides secondary and tertiary level ophthalmological services to children and adults from all Lithuania. The annual turnover is about 88,000 visits of adult patients and about 11 000 of children and more than 11 000 patients are treated in the different departments. The Department of Ophthalmology carries out intensive surgical work (more than 18 000 surgical procedures per year: cataract, glaucoma, vitreoretinal, corneal transplantations, keratoprosthesis, strabismus surgery, intravitreal injections etc.). Here are treated and operated the most seriously-ill patients from all over Lithuania and other foreign countries, including all the ophthalmooncological patients of the country. Head A. Gelžinis, MD, PhD -fields of interest: rare eye diseases in children and adults. The expert responsible for rare neuro-ophthalmological diseases – B. Glebauskienė, MD, PhD. The staff of the Department of Ophthalmology are members of different professional organizations such as Lithuanian Ophthalmological Society; Lithuanian Glaucoma Society; European Society of Ophthalmology (SOE); European Society of Cataract and Refractive Surgeons (ESCRS), European Association for Vision and Eye Research (EVER); American Academy of Ophthalmology. Pedagogical staff take part in the European Board Examination in Ophthalmology (EBO) as examiners.